This was Chelsea’s heaviest defeat since 1991 and they have now let in 10 goals in their last two away games. 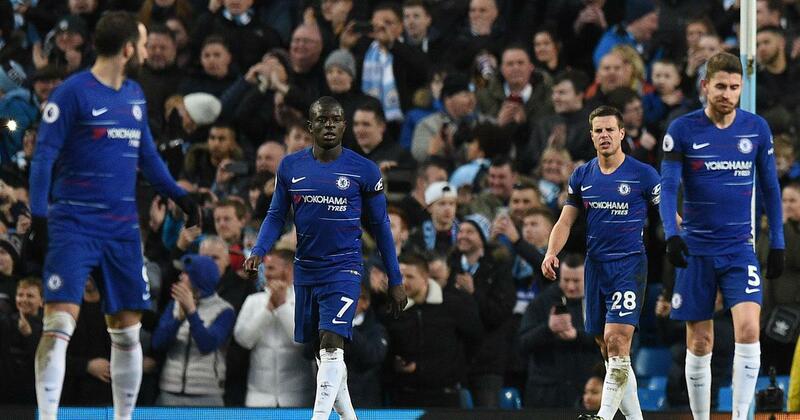 Chelsea were dealt a 6-0 hammering by Manchester City at the Etihad Stadium on Sunday, as Maurizio Sarri’s debut season in charge of the Blues went from bad to worse. Their 4-0 loss to Bournemouth was their heaviest since 1996 but the half a dozen shipped against City saw them slump to their biggest defeat in 28 years. Speculation about ex-Napoli manager Sarri remaining in the job were fuelled post full-time when the Italian admitted that he was at risk of getting sacked. For the Citizens, it was Sergio Aguero who shone brightest with a hat-trick despite missing a sitter with the home side leading 1-0. He more than made up for it with a belter from 25 yards for his first goal of the afternoon. Their strength in depth was also on display as substitute David Silva played a pivotal part in the sixth goal, with Gabriel Jesus and Riyad Mahrez also coming off the bench. At full-time, Sarri refused to shake hands with Guardiola, heading straight down the tunnel instead. With the club missing out on Champions League action this season and in sixth place in the Premier League table currently, the challenge will be to climb back into the top four in order to secure the long-term services of Eden Hazard. Sergio Aguero becomes Manchester City’s all-time top league scorer. Manchester City against small teams this season.